OBARI GOMBA – poet and literary scholar – has studied at both the University of Nigeria and the University of Port Harcourt, and has a PhD in English. Obari teaches Literature and Creative Writing in the Department of English Studies at the University of Port Harcourt. He has published four collections of poems: Pearls of the Mangrove, George Bush and Other Observations, Canticle of a Broken Glass and Length of Eyes. His writings have also appeared in Third Text, Expression, ANA Review, Culture Digest, Crucible, Working Papers, The Muse, Mgbakoigba, The Sun, National Life, Sentinel, 234 Next, New Age, Lagos Review of Books, etc. He is the editor of Oja, journal of Arts and Culture. Obari Gomba has been called an “angry poet”, an “activist poet’; in this interview he sheds more light on his vision and on his latest collection of poetry, Length of Eyes, which is on the longlist of the 2013 Nigeria Prize for Literature. Uche Peter Umez: Length of Eyes is your fourth collection, and I must commend your poetic breadth. How do you go about writing a poem? What determines the form the poem will take? Can you describe your own experience of writing this collection? Obari Gomba: You know what John Keats says about poetry: ‘it is easier to think what Poetry should be than to write it.’ Keats is right. I have been in this business for many years…seventeen years if we count from 1996 when I made my first public appearance as a guest poet on radio. I have been my own toughest critic. I am always critical of my own works. I never get easily satisfied with my works. I burnt almost all the poems I wrote before my university days. ‘Letters of Gold’ is lucky to have survived that artistic cleansing, and sometimes it makes me regret that action. I could have just reworked them. These days, I work very hard on what I do and I let go when I am done. As Paul Valery puts it, ‘No poem is ever finished, only abandoned.’ I must add that this kind of tactical abandonment is not easy. From time to time, you find that some poems call you back, and you must make the rite of return which could change a few things. I find that I am not alone here. If you read JP Clark’s ‘Epitaph for Boro’ in State of the Union and Full Tide, you will see the difference in the last two lines. Older poets like Clark have continued to regenerate themselves. They have always demanded so much of themselves. I have to follow their footsteps. Writing is a serious business. Every gifted poet knows the value of diligence. That is how I see it. Sometimes poetry comes to me; sometimes I go to poetry. In either case, I must subject the process to fire. What is gold without fire? Gold shades off impurities and takes shape in the smith’s fire. Poetic forms come in like manner. Form is a social construct governed by individual and group idiosyncrasies. Poetry is a form of imaginative writing which uses imagery, versification, prosody, economy of words and ornamented language to depict the realities of life. This is the best tradition of poetry. I follow the best tradition. Length of Eyes is a collection of serious poems. It cannot go without remark. Uche Peter Umez: T.S. Eliot said that the test of ‘a major poet is one the whole of whose work we ought to read, in order fully to appreciate any part of it.’ Considering the number of published works you already have, do you agree that your vision as a poet is better appreciated if your works are all read as a whole rather than as distinct individual collections? Obari Gomba: We must find a balance for Eliot’s position. A single poem can be self-sufficient in its enunciation of life. A single poem can represent life to the measure of its capacity, range, vision and craft. Such a poem will therefore be judged primarily on the basis of its own breadth. It can also be read in relation to other poems of the same tradition. And of course it can be read comparatively with poems from other traditions. We must understand that the self-sufficiency of a poem is not insularity. This brings us to the second point. A reader who has read the entire oeuvre of a given poet, in a case where it is possible, is likely to be in a better position to appreciate the art of that given poet. I have heard some critics who make very sweeping and dismissive statements on the basis of a poem or two. Such haughty readers offend the god of creativity. The terrible thing is that there is nothing the writer can do about the tyranny of the reader. Readership is a very subjective exercise. The writer must learn to love the reader and to live with the reader’s subjectivity. I have learnt that lesson long ago. After producing four collections of poetry, you can bet I am old in the business. All my readers cannot react to my poetry in the same way. I get suspicious when a reader sings my praise excessively. I know a few readers who have read all my four books. I thank them for subjecting themselves to that ‘torment’. They are the ones who are in a better position to appreciate my development. At the moment, I am working on an anthology which will bring all the four books together. It will be called Candlelights. The anthology will make my poems more accessible to the public. Uche Peter Umez: In your poem, ‘Chinua Achebe’s Country’, Nigeria is represented as a child with Down Syndrome whom Achebe loved nonetheless. What were you thinking of when you wrote this poem? Did this poem arise from your reading of Achebe’s controversial memoir, There Was a Country? Obari Gomba: The poem was published long before Achebe’s There Was a Country. It is the first poem in Length of Eyes which I published in early 2012. In 2011, I read Achebe’s The Education of a British-Protected Child. It is a great book of essays. One of the essays is ‘What Is Nigeria to Me?’ That essay inspired my poem. I think that portions of the essay later found their way into There Was a Country. I noticed that when I read There Was a Country in November 2012. Achebe’s concern for Nigeria has been misinterpreted in a number of ways. In some instances, he might have unwittingly triggered the misinterpretations. Nigeria is full of ethnic bunkers, and it is so difficult to escape them. Ethnicity should not be a bad thing in itself but Nigerians use it as a weapon of war and exclusion. Ethnic bunkers are terrible in Nigeria. It has been difficult for Achebe to escape them. The bunker of his own ethnic group is also active. But on the whole, he has been one of the most richly nationalistic of Nigerians. He says in that essay: ‘The hard words Nigeria and I have said to each other begin to look like words of anxious love, not hate.’ I believe him. I was thinking about that burden of love when I wrote my poem. It is the burden that some of us share. We love Nigeria; so we insist it must live up to its vow of justice and truth. How can you love Nigeria and fail to call it to order? The Bible says: ‘As many as I love I rebuke and chasten.’ I am amazed that some people want us to join them under their blanket of silence. We cannot be silent. It has become a standard procedure that whenever Nigeria is called to be accountable, some fellows are quick to rise in defense of the malady in the polity. When Soyinka published The Man Died, they called him a Yoruba-jingoist and a hater of the Hausa/Fulani. Elechi Amadi wrote Sunset in Biafra, they called him a hater of the Igbo. When Saro-Wiwa published some of the essays in Similia, they accused him of Yoruba-phobia. When we speak about the country, they call us anti-establishment. Where then are the lovers of Nigeria? The politicians like Obasanjo and Babangida? Who are the true lovers of Nigeria? They must be the band of fellows who ignore the plight of the sick child that the British have dumped on our laps. What a shame! 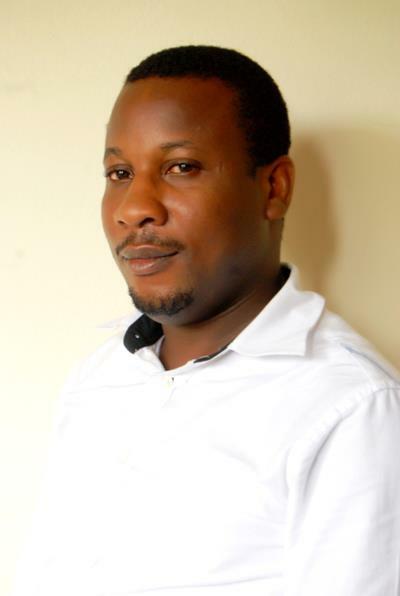 Uche Peter Umez: Your collection, Pearls of the Mangrove, pulses with simmering passion – passion for a land being routinely despoiled and dispossessed, even as yet. Lindsay Barrett has extolled your poetry as ‘activist poetry’. How much of your background as a Niger Deltan influences your poetry? Do you see yourself as an activist poet? Do you think poetry has a responsibility to engage the world politically? What is the poet’s primary responsibility? In short, is there any link between poetry and activism? Obari Gomba: The poet’s primary responsibility is to write poetry. However, the poet is human; and he lives in the world. The poet is not marooned in the moon or in the stars or in the sun or in any of the other planets. If the poet is marooned in any of such places, he will find that scientific inanity, pollution and global warming are coming to him…launched at him from the activities on earth. This is how it all falls in place. The poet cannot ignore life because life kisses and bites him every day. If this engagement with life is what makes one an activist poet, then it is a wonderful thing. Lindsay Barrett is right on that count. I cannot shy away from life. I cannot shy away from the matters of life. Politics is one of such matters. My environment is one of such matters. Unfortunately, I hail from the Niger Delta where politics has ruined my environment. The region suffers from the politics of oil exploration…from the politics of accumulation… from the politics of profiteering. It matters to me that the region is one of the most polluted places on earth. Several international and local reports have shown the deplorable situation of the Niger Delta. It matters to me that Shell does to us what it cannot do in either Britain or Holland. It matters to me that Chevron does to us what it cannot do in the United States. It matters to me that the government of Nigeria does not protect us from the industrial nihilism of the multinationals. It matters to me that I have to carry a gun before government will consider me worthy of attention. It matters to me that my country constantly fans a state of anomie. The condition of my region makes me sad. There is no positive change in sight. In Pearls of the Mangrove, I committed the entire first section to the Niger Delta. I believe it is right for us to keep asking questions. It is a matter of life and death. The oil industry is killing us. Soldiers kill us when we protest. Oil thieves and explorers destroy communities with fire. Fauna and flora are dying off. Aquatic life is destroyed. The entire ecosystem is a disaster. Traditional means of livelihood have been eroded. Crime is on the rise. Strange diseases have come upon us. There are no modern facilities to mitigate the effects of industrial nihilism. Poverty is rife. Communities have become fractious and they have imploded. Governance is a charade…even a band of circus clowns would have been better. Come on, my brother. If the least I can do is to write the Poetry of Redress, I will write it. Uche Peter Umez: One of the criticisms levelled against African writing by Western readers is that our writing is too overtly political. In spite of such criticism, a good number of poetry collections in Nigeria still resonate with political contingency. I know Li Yong Lee said, ‘It’s impossible for poetry not to be political,’ but don’t you think many of us would rather read poetry that is concerned with ‘I Have Known Your Scent’ than with the political, seeing that politics is what we have to grapple with everyday, here in Nigeria? Obari Gomba: It is good that you have seen, by the evidence of ‘I Have Known Your Scent’ and many others, that my poetry cannot be forced into a pigeonhole. So is Nigerian poetry. So is African poetry. We have produced poetry for every kind of sensitivity, for every kind of palate, for every kind of taste bud. Readers should make their choice. I must also say that politics is not a bad subject for poetry. It is not political content that makes a bad poem. It is the craft of the poet. This is a very important point. The next is that the West wants to frame Africa in its own image. That is impossible. We have to gradually wean the West off that position. The West tends to hold Africa suspect in all things. Many times, they have dismissed African literature. Let them know that Africans write about life… the sum total of life as they have come to know it. If politics is preponderant in African writing, it is because politics matters so much to us. Literature is a traditional matter. We have no apology for our literary tradition, and Western writers have never had apologies for theirs. If the political content of our writing causes heartburn or constipation to Western readers, it is a plus to us. Someone, Kingsley Amis I presume, says ‘if you can’t annoy somebody, there is little point in writing’. We have no apology for how we write. Western writers have caused us heartburn and constipation for ages. Look at Shakespeare’s Tempest, Conrad’s Heart of Darkness, and Cary’s Mister Johnson, to name a few. We are speaking of a corpus of writing which denied the humanity of a large section of the human race…which reduced its victims to mere archeological specimens. We are speaking of a literary tradition that has been in the vanguard of slavery, colonialism, terrorism, neocolonialism for ages. Yet we Africans do not dismiss the beauty of Western literature in spite of its sores. It will be preposterous to do so. There is no perfect literature anywhere. Literature is produced by man; and man is imperfect. Given that our judgment of perfection is a subjective affair, otherness must be respected. It has been the Blackman’s Burden to teach the Whiteman that the world is framed by otherness. We must be humane in our approbation and disapprobation. A kind of humility is demanded of anyone who seeks to understand the otherness of humanity. The shame is that the West has formed its wrong habit over a long time. It will be difficult to change a man who is calcified in the odd mould of pre-eminence. The Western man will always insist on squeezing life into the pigeonhole of his taste; and the rest of us must continue to insist that God’s earth is our collective patrimony. Uche Peter Umez: Reading your poem ‘Salman Rushdie’s Sin,’ I am wont to remember his saying about a poet having to name the unnameable, so that the world is stopped from going to sleep. In the Part 3 of Length of Eyes, many of the poems bring to fore the havoc wreaked on other countries by superpowers and the multifaceted forms terror can assume. There is some sense of indictment of America in a lot of these poems, a kind of satiric attempt at naming the unnameable, as evident in epithets such as ‘the House of Bush’ and ‘Uncle Yanker.’ Is this part your own way of pointing at the frauds in American foreign policy? Obari Gomba: A superpower is never only about super-economics and super-weaponry. It is also principally about super-falsehood…the overbearing narrative of election and manifest destiny. The world has been terribly hurt by such entities of deceit, megalomania and banditry. Slavery, colonialism, neocolonialism and terrorism all owe their roots to superpower mentality. The pain is that the world has continued to suffer from both the first thrust and the backlash. A lot of innocent persons are caught in the crossfire. We have to hold rabid power responsible for the rivers of blood. The United States’ government is not alone in this predatory role. But let us take it from there. If there is a country today that can change the world for good, it is the United States. But that country has been plagued by leaders who have abused their country’s pursuit of national interest. I think the power-class in that country has to apologize to its citizens about the mess they have put their mandate to. There are a lot of questions. What was the role of Kermit Roosevelt in the Iranian crisis of the 1950s? What happened to Omar Torrijos and Jaime Roldos? Why did Patrice Lumumba have to die? How can a government send young Americans to their death in faraway lands just to massage the ego-and-profit of the Bushes and Cheneys of this world? Does it matter that the Mujihadeens were actually Amerijihadeens and that Osama bin Laden was part of the United States’ offensive? Does it matter that the Taliban were an offshoot of the United States’ involvement in Afghanistan? Was it love or oil that drove the United States to Iraq? These things go to the root of the United States: from the genocidal decimation of Native Indians to the constant exportation of terror and instability since the Cold War. After all the mess that the British, the Spanish, the French, the Portuguese, the Belgians, the Russians, the Germans, and the Italians have left on the face of the modern world, does the United States have to continue in that sham of election? Must the acclaimed bastion of freedom and democracy wallow in the Pigsty of the Elect? The point is that other countries are motivated by America. Britain is always quick to join every American war-song because of the spoils of war. Russia has carried its Cold War attitude into this era of Cold Peace. Some Arab states have been benign to terror-groups. Quasi-states have also emerged in the Arab world and they are either fighting their home governments or exporting terror to other countries. Israel and Palestine have stuck to their guns…each claiming election. North Korea and Iran are arguing that nuclear armament is the measure of might and they want to acquire it. Chinese guns were in the hands of the Janjaweed in Darfur because of oil. African warlords are pursuing ethnic and sectional programmes with arms received from disaster capitalists. The world is in crisis. The United Nations works like a crippled lackey to the superpowers. America must lead by example: it is a great country and other countries look up to it. Uche Peter Umez: In the final poem in Length of Eyes, entitled ‘I Come from Achebe’s Country’, the poet-persona states: ‘And I have said my bit in the matter / The rest is up to you in the matter.’ I like the direct, haunting tone in the last lines. The characters in the poem, Amiso, Agwumeme and Oguale typify madness and villainy. Are they metaphors for the ruling class? Does it all point to the depth our political elite has sunk into, in their display of depravity at national level? Obari Gomba: Nigeria makes me restless. ‘I Come from Achebe’s Country’ has come from that feeling of restlessness. I have already spoken about certain aspects of our collective engagement in Nigeria. We all share in the shame and the victory of this country. We cannot deny Nigeria. We cannot deny that there is a lot of work to be done. We have to save the country from Amiso, Oguale and Agwumeme. They are metaphors for corruption, stupidity and violence. I have sourced those metaphors from my childhood environment in Eleme. Eleme is an ethnic nationality in the Niger Delta of Nigeria. In the 1980s, I was a little boy in my hometown. There were several Ghanaians amongst us…and they were in other places in Nigeria. Ghanaians came to Nigeria in droves. That was before Ghana Must Go. In a few odd years, Ghana has got a turn-around. Today, Nigerians would rather live in Ghana. Nigeria has been consistently plagued by the villainy and depravity of its leaders. That is why others make jest of us. Take South Africa as another example. Many Nigerians will say very sternly that South Africa is a rude country. Nigerians constantly search for Eldorado…they seek to escape from the jaws of their own native land…and they have come to receive terrible treatments at various sites of their migration. Nigerians can understand it when the United States treats them like lice. After all, the US embassy has been notorious for its rude handling of visa-applicants right in Lagos. There are several testimonies of how Nigerians are treated like lice on Nigerian soil by the embassy of Uncle Sam. The British High Commission is also notorious. Nigerians endure grave insults from the British and their agents. We are talking about the same British who, under the fraud of civilizing missions, have been the most illegal of migrants to have afflicted Nigeria. Today, the British treat every Nigerian as a potential criminal…from the Nigerian Head of State to the young man who seeks to study in the UK. The British have no respect for any Nigerian… not even Wole Soyinka. There is this pathological arrogance in the West which Nigeria has grown immune to. What worries us is that we suspect that South Africa has caught the ailment. And you hear Nigerians ask: Wetin be South Africa own sef? I was amazed when I read that Nigerians are called cockroaches in South Africa. Nigerians cannot understand why the country that depended on Nigeria’s generosity has suddenly turned around to mock Nigerians. The world may never get to know how much Nigeria spent on the South African struggle. I think it will help if that piece of information is declassified. Now, the point is this: foreign policy has never been about moral debt. No country runs its foreign policy on moral debt. It is always about strategic interest. So we can excuse South Africa…and we should begin to take ourselves seriously. When a country loses respect in the comity of nations, its citizens also lose respect in the eyes of others. It has to begin within our own national space. Nigeria cannot continue ‘to stew in its rheum and gore’, as I have said in my poem, ‘The Ghost of a Country’. The rate of corruption in Nigeria is alarming. The rate of violence is also alarming. There are several trigger-points. To me, politics and religion are the most detestable manifestations of violence. And they are often linked. Politics is religionised and religion is politicised. There are goons who insist on having the country incinerated. It has been so for long. Look at what Boko Haram is doing. It is politicised religion. Let me speak on this subject in detail at the risk of sounding digressive. I wish we could restore religion to its redemptive path. Religion is simply defined as how man sees divinity. It provokes mankind to build architecture of relationship with the Supreme Being. This could take the mode of Babel…of those who sought to reach God by a physical tower. It could also take the mode of sociological or psychological institutions which make the software of faith. This is a crucial point…the point of interpretation…of understanding…which could be subject to human subjectivity and abuse. This explains why Christianity and Islam came into Nigeria by deception and violence. I do not deny the fine points of both religions. But truth must be told. It is the fouled beginning which has spiralled into the present. The religions themselves are in need of redemption in Nigeria. Christianity has been luckier here. Christianity has opened itself to more questioning than Islam. The Christian is at liberty to express his doubt about his faith: his God and the head of his worship assembly. You recall that even John the Baptist who proclaimed the Godship of Jesus Christ in Matthew 3 turned around to query Jesus Christ in Matthew 11. Christ did not call him an apostate. Christ persuaded him by the Word and the works. Modern-day Christianity has followed in the tradition of doubt and dissent in a manner that Islam has not. Islam gives little or no room for questioning…whether by the faithful or the infidel. The rise of Political Islam has worsened the matter. You find a powerful minority which seeks to make of faith a prison house. Yet, they ought to know that the strength of any faith is lodged in the ability to win over the unfaithful by persuasion, not only by the sword. The fundamentalists are not helping the faith of Islam. In this age and time, Islam is not likely to expand beyond the borders of Northern Nigeria. Its extensions outside the north are mere migratory sprinklings in the south…a little more than that, maybe. Beyond those of Hausa/Fulani extraction, there are only a few converts to Islam. The reason is simple. The strategy of propagation has to change. These are not the days when the great Othman Dan Fodio drove through indigenous populations with the fire of Allah. Such campaigns cannot succeed in present-day Nigeria even though Boko Haram has continued to pursue a programme of exclusion and violence. Boko Haram and its allies are giving Islam a bad face. What has happened to persuasion and subtlety? There are lessons to learn from Christianity. Uche Peter Umez: As an academic and one who has published literary criticism in print and online, to what extent do you think your background shapes your poetry? How does this affect you as a poet? And how do you balance teaching, literary criticism and writing poetry? Obari Gomba: Somehow, I have come to sit on that tripod in a crisis-prone system. For a long time now, we know that almost all the discourses on the Nigerian university system have been on the minuses. However, I must thank God for little mercies. Derek Walcott says: ‘There can be virtues in deprivation; and certainly one virtue is salvation from a cascade of high mediocrity.’ Creative writing is my livewire. It is to me the most important of the three things you have mentioned. Teaching is what pays my bills now. My job is primarily to teach and to assess students. Certain aspects of my job are uninspiring. The excess units, the general lack of motivation amongst students, the poor facilities and the pettiness of the academia are some of the things that turn the job to a kind of drudgery. But, somehow, I have risen above those limitations. So I teach and I do research. Literary criticism is a necessity for me. I have to contribute to scholarship. It also counts for my advancement on the job. Uche Peter Umez: Speaking of poetic influences, though I am guessing Tanure Ojaide – but which poets do you read with pleasure? And which of them are your influences? What do you think of the present situation of poetry in Nigeria, now it seems Facebook has become an avenue to ‘democratise Nigerian poetry’? Obari Gomba: Tanure Ojaide is one of the most significant poets in Africa. I did my doctoral research on his poetry. But he is not an influence on my poetry. Some critics think Chris Okigbo is the influence. Some say it is TS Eliot. Some say it is JP Clark. We have not heard the last of it. Let us not get anxious about it. The important thing is that I am writing poetry and people are reading the poems. The matter of continuities and departures will be established with time. I think about what Eliot has called ‘Tradition and the Individual Talent.’ Poets who belong to the same tradition will have similarities. They will also have the imprints of difference. That is the truth. I have read a lot of poets and I know that fact about creativity. You have asked me about the poets I enjoy. I enjoy a lot of poets. You cannot be a poet if you do not read poetry. From Nigeria, I have read the popular poets: Okigbo, Soyinka, Clark, Okara, Osundare, Ojaide, Ofeimun, etc. But there is more to Nigerian poetry. Read the poetry of Achebe. Read Chimalum Nwankwo. Read Ben Okri. Read Okinba Launko. Read Ezenwa-Ohaeto. Read Ogaga Ifowodo and Remi Raji. Nigerian poetry is a great harvest. You cannot exhaust it. And of course, there are other exciting poets across the continent. Leopold Senghor, David Diop, Birago Diop, Okot p’Bitek, Syl Cheney-Coker, Tchicaya U Tam’si, Lenrie Peters, Dennis Brutus, Arthur Nortje, Oswald Mtshali, Masizi Kunene, etc. You cannot count them all. Outside the continent, you meet the Russians, the English, the French, the Americans, the Germans, the Italians, the Arabs, etc. It is a blessing that there is poetry everywhere. Every country of the world has its poetry. The more we know about the poets of the world, the more we know about the world. It is wonderful that Nigerians have stood up to be counted amongst the best poets in the world. The condition of Nigerian poetry is healthy. There are challenges facing my generation of poets. The biggest challenges are publishing and distribution. But we have been very brave. The rise of social media is a plus. I too have posted a few poems on Facebook. I use social media as a platform for work-in-progress. I get the kind of feedback that makes me reexamine things. The warning is this: social media is an open market, not all comers are worth their salt. So the poet must exercise judgment at all times. In this way, social media can become beneficial technology to writers. There is also the rise of ebooks, ezines, ejournals and online bookshops. We have to take advantage of all those instruments. Uche Peter Umez is a poet and short fiction writer. An Alumnus of the International Writing Program (USA), Uche has participated in residencies in Ghana, India, Switzerland and Italy. He has twice been shortlisted for the Nigeria Prize for Literature in 2007 and 2011, and was one of the winners in the Commonwealth Short Story Competition in 2006 and 2008 respectively. His latest children’s books The Boy who Throw Stones at Animals and Other Stories and Tim the Monkey and Other Stories have just been published by Melrose Books and Africana First Publishers (Nigeria) respectively.